1 Blemished Available: $62.96 This item is available as a Blem/Refurb. These are items that cannot be sold as "New" merchandise and are limited to stock on hand. 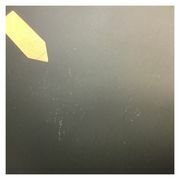 See the product details for a description of the product's condition. 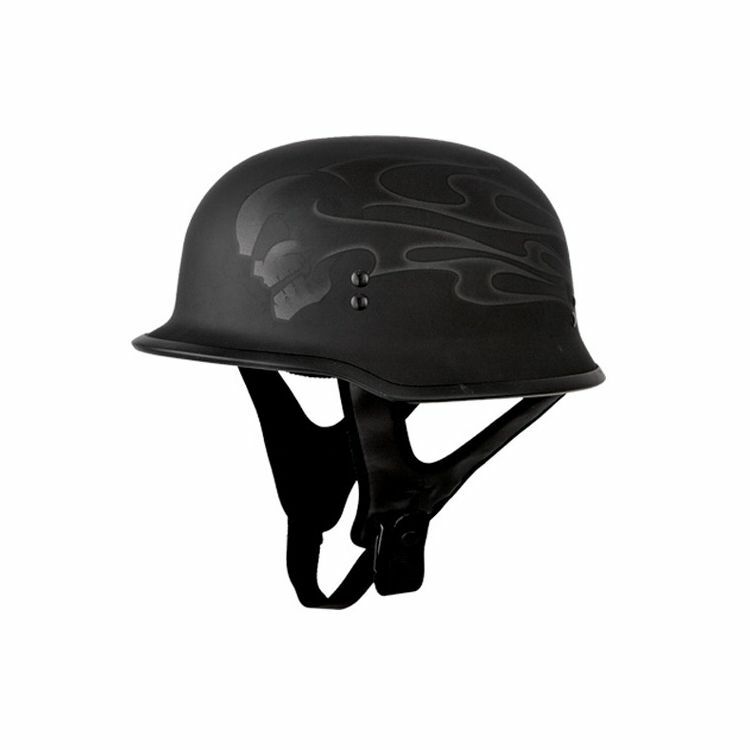 German WWII styling meets American DOT safety standards... and ghosts and skulls - the Fly 9mm Ghost Skull Helmet. Sits to high off head and therefore ends up looking dumb. Love the helmet and the ease of getting it. It shipped out fast and I received it in only a few days from ordering it. Love it ! ! Just a little bit big in the four head, And I mean a little bit . I get a lot of complements on the helmet ! ! This is a great helmet for the price if you enjoy wearing half helmets, It fits great and looks badass, i recommend this helmet for anyone looking for a good helmet at a great price!! My head was right on the line at 22inches between small and medium. I went with the small and it fits well. If you wear anything under your helmet, go medium. Very comfortable and unique. The ghost skull is subtle and looks really cool with the matte finish. Very happy with my purchase. Love this classic helmet design, but love the suttle ghost skull flames for something different than everybody else! I love the old school look of this helmet! needed a lid to fit my big head fast so ....... revzilla!!! My boyfriend liked it and I ordered it for him.. I chose the Fly 9mm helmet based on price and reviews, besides the fact I like the look of this helmet. Good reviews and different than what is out there. Of the helmet. And free shipping of course . My son requested it for Christmas and because I love him and fear for his safety on the roads. I like the design and style. Does this helmet have the DOT sticker on the helmet? BEST ANSWER: There is a DOT stamp on the helmet. It's not just a sticker. Yes, it does have a DOT sticker on the back of the helmet. Yes, it's in the usual place at the back of the helmet. is this a low profile helmet? do they add extra padding to the helmet to adjust the size? Are the outside shell sizes the same?